Private Guest suite in lower level of residence (We live upstairs) with private gated entrance. located in quiet, new mid/upscale subdivision. Landscaped, well lighted, side walks. Private guest suite looks out onto city-owned park, former Ravenwood country club, with private access to walking paths from fenced backyard. 10 miles from Downtown Nashville. Easy access to interstate 40. 5 miles from airport, 3 miles from Presidential home & museum of Andrew Jackson. You will have Full access to Private guest suite in lower level of the residence. It is beautifully furnished and very comfortable. It feels like you have your own apartment. Access: side walk takes you directly to the backyard entrance to enter your suite. One bedroom with king size bed. One Twin size Roll-away bed. Walk-in closet includes; hangers, Steam iron, lint roller, throw, hair dryer, extra towels and extra pillows. Table lamps. Full bath include: towels, tissues, hand soap. Living room includes; 50" 4K TV, Free cable, Free internet, comfortable L shape sofa & bean bag chair. Jack Daniel's bar table with two Stools. Kitchenette includes; microwave, standard size range, and refrigerator, Coffee maker, French Presses. I also provide coffee, tea, water, and brown sugar, and Coffee Creamer. Direct access to The former Ravenwood country club from backyard. Enjoy your private patio with very comfortable cedar rocking chairs. My family and friends are the most important thing to me. I’m lucky to be surrounded by great people. Traveling is my passion. And photography my companion. My husband and I love to travel when we get the chance. We have been to many great places. We understand that comfort, specially when traveling, is very important. So we decided to create a comfortable space for your next trip to Nashville. We’ve decided hosting could be a great opportunity to show our hospitality. Private guest suite in lower level of residence (we live upstairs) with private gated entrance. located in quiet, new mid/upscale subdivision. Landscaped, well lighted, side walks. Private suite/apartment looks out onto city-owned park, former Ravenwood country club, with private access to walking paths from fenced backyard. 10 miles from Downtown Nashville. Easy access to interstate 40. 5 miles from airport, 3 miles from Presidential home & museum of Andrew Jackson. 2 king size sheet set, and 2 twin size sheet set. full size washer and Detergent. Private living area. L shape Sofa , Flat Screen 4K TV , Bean bag chair. Standard size Refrigerator, some snacks and water . French press , Mr.Coffee Brewer. Coffee & Cream . serves 4 person. Dinner plates, bowls, utensils, and cooking prep utensils. Private Kitchen. microwave, standard size range, and refrigerator, Coffee maker, French Presses. I also provide coffee, tea, water, and brown sugar, and Coffee Creamer. Jack Daniel Table with two stools in the living area. Private covered Patio, with cedar rocking chairs . walking distance Community shared pool . Secure . Access code . Nice quiet neighborhood. Never knew if the owners were home. Bed was firm, but not too firm. We weren’t there during the day, just really used it to sleep and shower. Very nice amenities. It was a great place to decompress after being in a conference all day and visiting downtown in the evenings. Would definitely recommend it. Great Place to stay very comfortable. Enjoyed the stay. We had everything we needed. No issues. Watched a Titans game. Will be back for shopping next time! The property was quaint, quieted and well suited for a relaxing getaway! The owners were great to work with and responded quickly. We enjoyed out stay and look forward to returning! 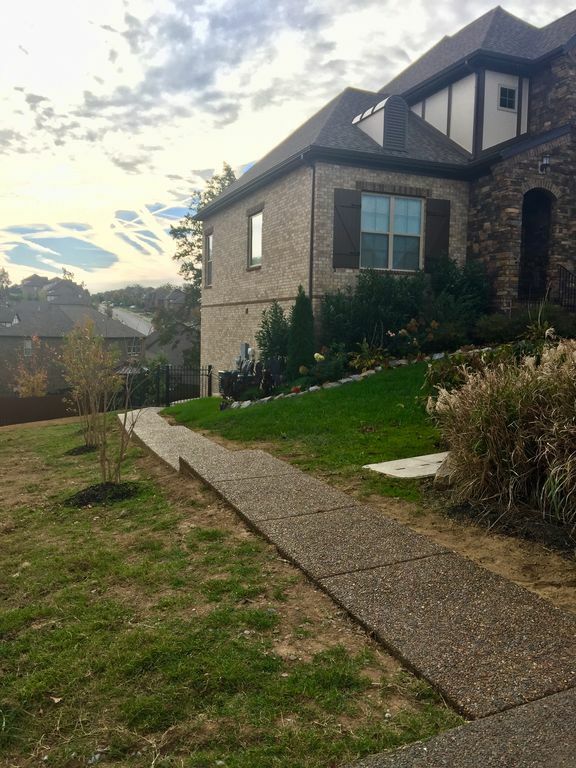 Located in a beautiful subdivision, enjoyed walking around neighborhood and the old Ravenwood golf course, yet close enough to Nashville. Unit was clean, updated and met our needs. We were able to unwind before driving back to Wisconsin after spending week in Disneyworld with kids and grandsons. This 1 bedroom beauty was perfect for our short stay in Nashville. It was well-appointed, clean, beautifully decorated...as cute as a button! Can't wait to book our next getaway and book again! Home of Andrew Jackson's Hermitage is 3 miles .